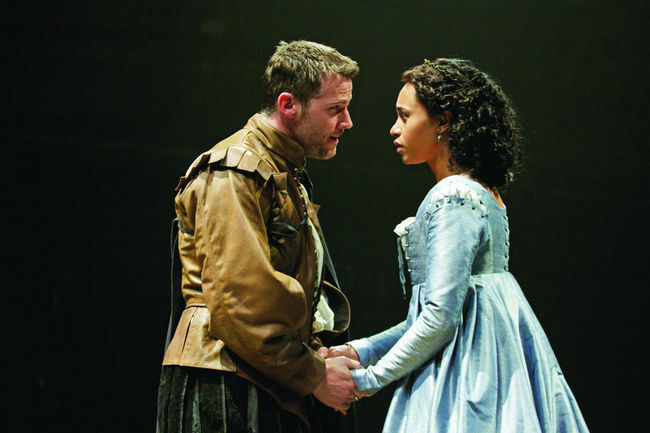 Cymbeline is the production I’d been waiting to see in Stratford all season. It’s really good Shakespeare. That’s what Stratford does- really good Shakespeare- and I think it’s telling that most of the really good productions this year aren’t that. There are quite a few good musicals, one decent Shakespeare, and one that’s close to wholly underwhelming. But then there’s Cymbeline (notably directed by the incoming Artistic Director, the Shakespeare-minded Antoni Cimolino who will be replacing musical-minded Des McAnuff). First off, it’s great to see one of the rarely produced works and Cymbeline, specifically, is one of them that’s rarely produced merely for the crime of being hard to stage and not for the crime of being bad (here’s looking at you All’s Well That Ends Well). I’ve seen it twice now and really liked it both times- that’s rare among the obscure Shakespeares. It’s hard to stage because it’s kind of weird, has a huge cast of characters, and relies heavily on dreams as a plotting device (also, there are cavemen). 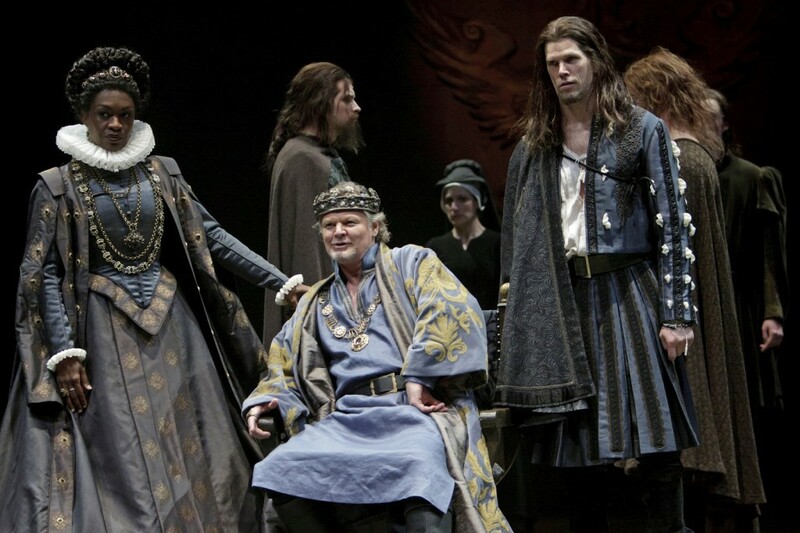 Cymbeline either requires intense creativity (like the first production I saw- where 8 actors played all the parts and half the enjoyment came from the self-aware lunacy of their sprinting across the stage to change characters) or an astounding budget Paired with intense creativity. The Stratford production has the latter. Lighting designer Robert Thomson outdoes himself with a beautiful and diverse landscape of lights (including blacklighting-What?!) so that set designer Scott Penner can take it a little easier, creating a bevy of movable (but pretty) set pieces ready to be scooted around by ensemble members in the lightning-fast set changes. Carolyn M. Smith’s costumes are great and character-specific (I particularly love Cloten’s skirt) and Todd Campbell choreographs an incredibly brief but unbelievably full-feeling war (as well as some comedic fisticuffs throughout the play). Cimolino, for his part, blocks the production beautifully, adding great comedy where there may or may not have been some, and keeping up the pace to the point where 3 hours feels like 2. There’s one Big, surprising moment of “Look At Our Budget!” that I could take or leave (and may or may not have accidentally laughed at), but it’s not detrimental and I’m sure it’ll make the show for some people. Cimolino also puts unwarranted focus on the title character- adding small, artistic moments that open and close the production prettily but, again, emphasize someone who’s actually not all that important compared to, say, his daughter- but otherwise his character work and general interpretation are a spot-on mix of period purity and artistic innovation. The cast takes what the creative team has set up for them and runs with it. Cara Ricketts starts off a little rocky as Innogen (arguably the play’s most important character), slipping into her absurd ingénue floatiness occasionally, but even in those parts she hits some notes perfectly. By the time she transforms into Fidele, she’s perfectly in the groove and delivers a splendid and show-carrying performance from there on out. 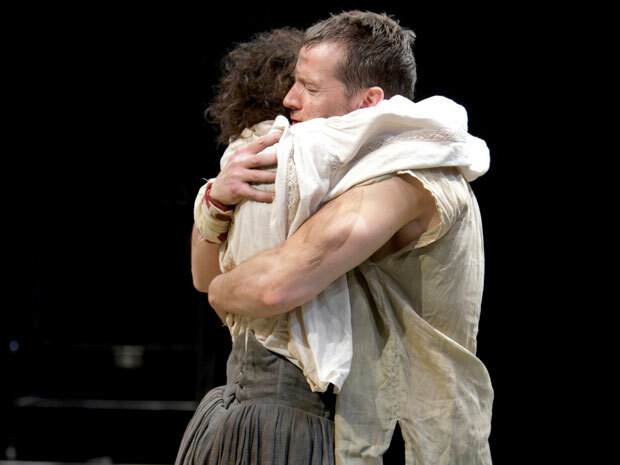 Geraint Wyn Davies is fine as Cymbeline (even breaking that ridiculous accent habit of his and- not doing a Canadian accent per se- but at least not doing an unavoidable Scottish or Welsh one); he’s mostly a decent place holder who delivers decent comedy and is otherwise ignorable. Yanna McIntosh is similar as his sinister Queen. She’s a little hammy, but she’s basically playing This Lady so it kind of works. Mike Shara is also hammy, but it’s hilarious and Cloten is a hammy character so he’s perfect in the role. His Cloten was one of my dreamcastings that came through this season and I wasn’t at all let down; he’s the perfect Neanderthal-ish brute with the grunts, crude humour and girlish squeals that mark satirical genius. Peter Hutt’s also notably funny as Doctor Cornelius, tweaking his lines and inserting pauses to heighten what’s on the page. Brian Tree is sweet but not all that memorable in my favourite role, Pisanio, but EB Smith and Ian Lake are adorable perfection as the princes-come-cavemen Guiderius and Arviragus. Smith, in particular, is threatening enough to believably chop off Cloten’s head (he’s now one of my top choices for Othello next year, with Michael Blake) but also wonderfully sweet in a big brother bear-like way.Tom McCamus is an acceptable Iachimo (helpfully abandoning the written-in accent) but nothing all that memorable. Simon Bracken stands out in the tiny role of First Cloten Lord and Josh Epstein is thoroughly amusing as a mustache-twirling Frenchman. But the best in the cast is undoubtedly Graham Abbey as Posthumus. Yes, he’s dreamy enough for a crowd of schoolgirls in the audience to literally squeal during his curtain call (Aside: can we just take a moment to be proud of the young people for their choice here? Sure, Abbey’s pretty hunky, but my point is that he’s a clean-cut classical actor instead of, I don’t know, a tattooed drug addict rockstar, for example. Progress! *End of Aside*) but, more importantly, he’s damn good. 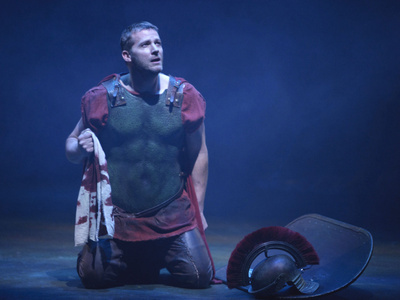 Abbey carries with him 12 years as a Stratford leading man, so his Romeo and his Macbeth and his Prince Hal all inform his conflicted and loving Posthumus. He was so good that I finally started to understand Posthumus- a character who couldn’t be more all over the place in his motivations- and was cheering for him from figurative curtain up to curtain down. 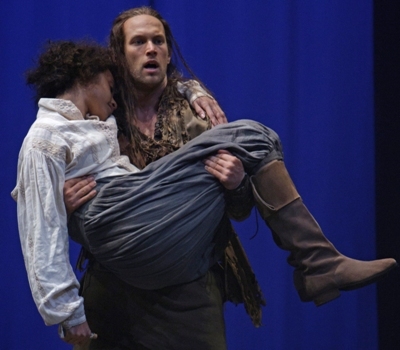 Cymbeline is really really good and full of great work from the lighting down to the 2-line Frenchman. I couldn’t have found a better production to close out my season at Stratford. Wax Wings’ Turbulent Eyes Shut. Door Open.